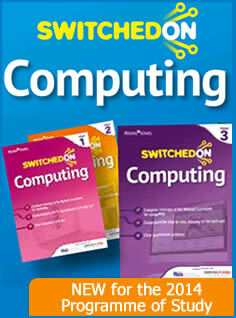 At New Invention, we follow the curriculum using the Switched on Computing programme of study. Switched on Computing will help deliver the new Programme of Study for computing with ease and confidence. Written for the new curriculum,Switched on Computing offers creative units using the latest free software in a format that is designed for teachers of all levels of experience to pick up and use. Many elements of the new curriculum require children to programme and code. In order to do this, many of the units use the programme Scratch. Scratch is a programming language and an online community where children can program and share interactive media such as stories, games, and animation with people from all over the world. As children create with Scratch, they learn to think creatively, work collaboratively, and reason systematically. Scratch is designed and maintained by the Lifelong Kindergarten group at the MIT Media Lab. To visit the Scratch website or download the program, click on the image below. Teachers also use social media such as YouTube, Twitter and Marvellous Me to keep parents informed of the latest events in school and update them on our progress.